Employment standards in Ontario could be facing further alteration this year, as the provincial government attempts to reduce the bureaucratic burden on employers. Bill 66, Restoring Ontario’s Competitiveness Act, 2018, was introduced in the legislature Dec. 6, seeking to make changes to a variety of acts in an effort to cut business costs, harmonize regulatory requirements and end duplication, according to the province’s economic development minister, Todd Smith. The bill is part of a four-year plan intended to reduce business regulations by 25 per cent. The bill will be debated when the house resumes sitting in February. If passed, Bill 66 will amend the Employment Standards Act, Labour Relations Act, and Pension Benefits Act — making for a “pretty profound” impact on employers in terms of cost savings, according to Andrew Shaw, partner at Baker McKenzie in Toronto. The proposed amendments are really about flexibility for employers, said Craig Stehr, partner at Gowling WLG in Ottawa. 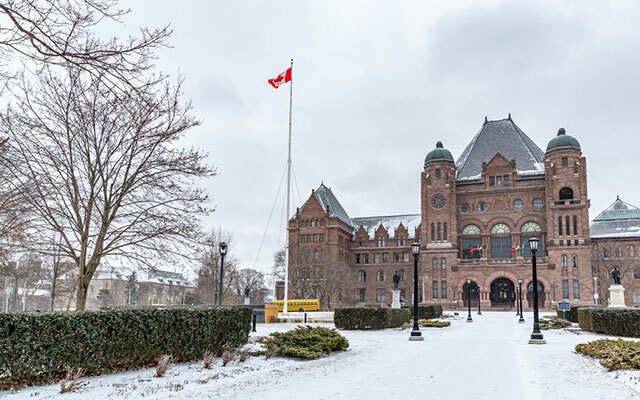 As it stands, the bill would eliminate the need for Ontario employers to obtain approval from the government for excess weekly hours of work and overtime averaging agreements. Currently, for an employer to have employees work more than 48 hours weekly, an application for approval needs to be filed to the director of employment standards — an annual occurrence that can take weeks to be processed, said Shaw. If Bill 66 takes effect, an employer would simply need a written agreement with an employee, he said. Small business owners are sometimes reluctant to engage with the government on employment standards issues, said Lucas Mapplebeck, employment lawyer at Filion Wakely Thorup Angeletti in Hamilton, Ont. As for overtime averaging, employers would be able to sign written agreements with employees to average hours of work, including overtime, for periods of up to four weeks, without requiring government approval. Such a change will allow employers to respond more easily to immediate or unexpected demands that may require more hours to be worked in a given week, said Stehr. Employers’ need for approval in both areas has been a “fact of life” for some time, he said. Bill 66 would also remove the requirement that employers display a poster with employment standards information in the workplace, but rather provide a copy to employees, likely at time of hire, said Stehr. The move removes the possibility of an administrative fine, but is not intended to reduce workers’ access to the information, according to Mapplebeck. Proposed changes to the Pension Benefits Act could also impact employers, said Shaw. The bill aims to permit private sector plan mergers with jointly sponsored pension plans (JSPPs), following a current market trend in which employers are attempting to pool their risk, he said. Under current legislation, it is difficult for private sector employers to merge individual plans into JSPPs, said Mapplebeck. In terms of labour relations, Bill 66’s passage would mean trade unions will no longer represent employees of several public-sector entities — such as municipalities, school boards and public hospitals — as they will be deemed non-construction employers, said Mapplebeck. The move could result in more competition in project bids, and lower costs for these employers, he said. To prepare for Bill 66, HR professionals could begin by reviewing workplace policies and employee agreements — depending on content — in terms of maximum hours of work and overtime payments, said Shaw. Employee policies may mimic legislation and require revision, he said. HR could also look into potential strategic benefits in business operations, such as planning production cycles to take advantage of new overtime averaging agreements, he said. Ensuring properly prepared agreements are in place with employees will be important, especially if usage increases, according to Stehr. A “robust” review process should be in place and employees should be made aware of the implications of these agreements prior to implementation, said Stehr.